Aloha! 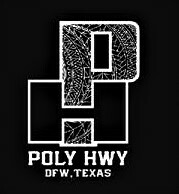 We are POLY HWY, a live musical band from Dallas, TX that performs a wide variety of music ranging from Blues to Reggae for any occasion, such as, birthday parties, weddings, festivals, and more! For more information about what we can do for you, please contact us. Also, be sure to check our calendar to see when our next upcoming performance will be. We'd love to help make your event's entertainment one to remember. Mahalo Nui Noa! Our music ranges anywhere from Blues to Island Reggae, and we ensure that the music we play would be suitable for the event and those that will be attending. With the diversity of our music we also bring a diversity of energy, such as, slow and mellow to upbeat and exciting. We do this to ensure the crowd will remain on its' toes throughout the entire performance. We, POLY HWY, started out as an Island Reggae band of six members during the summer of 2015. Over the years, we've gone through a change in styles and have added new members into our band. Now, a band consisting of eight members with a diverse musical background, we don't entirely focus on just Island Reggae, but all genres that we love and grew up listening to. Although diverse in our taste for music and our racial background, we all share a love for the Polynesian culture. For this very reason, we strongly support any event that supports the Polynesian community through participation, attendance, or advertising of the event. We strive to perfect our music and style while maintaining our roots to the Polynesian community and wish to spread the love and culture that is Polynesia! We provide our own back line consisting of a drum set, four amps and one bass amp. Our instruments that we provide for any event consist of, three keyboards, two guitars, one bass guitar and a drum set. Please contact to inform us what all you can provide for us, and we can help out in any way for sound if we need more than what you are able to provide. Staging and lighting can also be discussed as well. Our influences come from a wide range of musical artists of different genres, such as, Bob Marley, Bruno Mars, Fiji, Jimi Hendrix, Maroon 5, Red Hot Chili Peppers, and many more!